The alpine zone around Australia’s highest peak, Mt Kosciuszko is of high scenic, scientific, education and nature conservation significance. 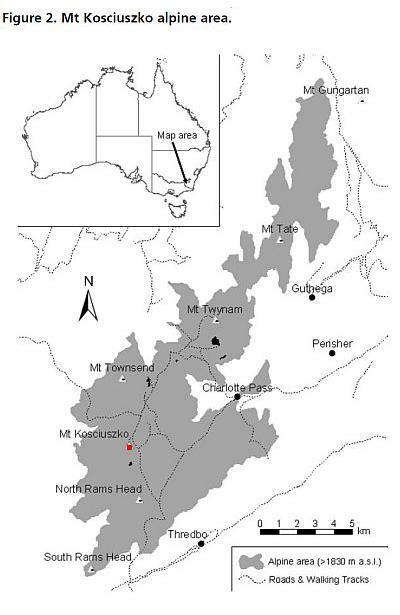 Although covering less that 0.001% of Australia, the area contains unique and distinctive biota including the mountain pygmy possum, 21 endemic species of plants and distinctive glacial feature. It also has important social and spiritual significance both to aboriginal groups who have migrated to the area for thousands of years, and to European communities who have visited the area over the last 150 years. This beautiful environment is a conserved landscape, the result of a series of battles to protect the area from threats to the environmental integrity of the area. In the first part of this report, the four major conservation milestones achieved during the last 60 years are reviewed. These conservation milestones have required leadership, active management, effective planning and sheer perseverance by generations of scientists, conservation activists and managers. Future conservation will also require these skills and commitments to continue to preserve the alpine area. As a result of past management achievements, the Mt Kosciuszko alpine area in 2002, is a major ecotourism destination, especially for summer day-walkers to the highest peak on the Australian continent. The popularity of this natural heritage not only vindicates the historical vision for its conservation but has also created a new conservation management imperative. Managing tourism in this very confined area is placing pressure on both infrastructure and the heritage values of the region. Numbers of tourists in the snow-free months have increased from 20,000 per year in the late 1970’s to around 64,000 people per year in 2000. Around 21,000 of these visitors walk to the the summit of Mt Kosciuszko. Tourism will continue to increase as it is actively promoted by tourism organizations as it is a critical industry for the local economy. Within this operating environment, the New South Wales National Parks and Wildlife Service (NSW NPWS), the agency responsible for management and conservation of the region, has undertaken management planning and is implementing works to help conserve the alpine area. This will mean dealing with many management challenges, some of which have been identified in this report. A new Management Plan for Kosciuszko National Park is expected to be completed for exhibition in 2003. The issues raised in this report illustrate the types of new conservation milestones that must be achieved to ensure that the management of Kosciuszko National Park conserves and sustains this scientifically significant and limited alpine environment for current and future generations to enjoy. The most extensive contiguous alpine region in Australia is found around Mt Kosciuszko in the Snowy Mountains, part of the Great Dividing Range and associated mountains in the south east of mainland Australia (Costin 1989). Other alpine regions occur as relatively isolated areas centred on the higher peaks between Mt Hotham and Mt Bogong in Victoria and in the Central Highlands and higher peaks in Tasmania (Costin 1989). Mt Kosciuszko and the associated peaks of the main range are protected within the Kosciuszko National Park (698 000 ha) in New South Wales. This park is one of a series of linked Australian Alps National Parks that conserve around 62% (15 000 km2) of the mainland alpine and subalpine region (Worboys 1996 - see _Figure 1_ ). The alpine region around Mt Kosciuszko extends from the upper limits of tree vegetation, at about 1830 metres, to the top of Mt Kosciuszko, at 2228 metres and covers around 100 km2, less than 0.001% of Australia (Costin 1989). Unlike the steep saw-tooth mountain ranges characteristic of many alpine mountain ranges elsewhere in the world, the alpine region around Mt Kosciuszko consists of an undulating plateau with a gradual stepped fall to the east, and a steeper western slope (Costin 1989). In many respects, the climate of the Mt Kosciuszko alpine region is similar to that of other alpine areas, with cold, snow-covered winters and short, warm summers. The mean temperature of the warmest month is approximately 10°C (Costin et al. 2000). Snow covers much of the area from June to October, leaving around seven months of the year snow-free (Galloway 1988, Brown and Millner 1989). The first major snowfalls often occur in May and by June there is often complete snow cover. Snowmelt occurs from September to October, although late snowfalls can delay the spring snow-thaw and snowpatches may persist for several months after the general thaw (Brown and Millner 1989). Mt Kosciuszko and the contiguous alpine area surrounding it ( see _Figure 2_ ) is considered to be of outstanding natural value, contributing to the potential World Heritage listing of the Australian Alps (Mosley 1992, Costin et al. 2000). 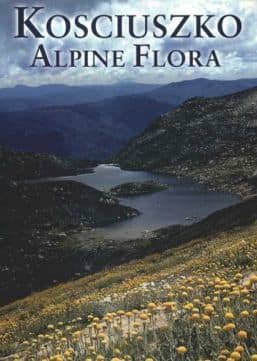 The alpine area is recognized as an „Outstanding Natural Area” by the 1982 Kosciuszko Plan of Management. Along with the rest of the park, it has also been recognized as a World Biosphere Reserve under the UNESCO Man and the Biosphere Program since 1977 (NSW NPWS 1982, Costin et al. 2000). 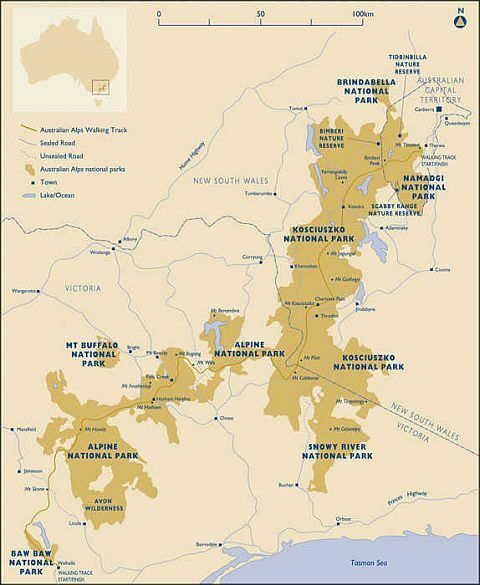 The management of this area is the responsibility of the New South Wales National Parks and Wildlife Service (NSW NPWS). The vision should be to conserve the characteristics that make the area of such outstanding conservation value. The history of landuse for the Snowy Mountains including the Mt Kosciuszko alpine area is a rich story. There have been thousands of years of occupancy and use by the local Ngarigo Aboriginal people and other Aboriginal peoples during the summer months. Starting around 160 years ago there was European exploration of the area including the ascent and naming of Australia’s highest mountain, Mt Kosciuszko by Paul Edmund Strezlecki in 1840 (Good 1992). Use of the region for summer grazing commenced in the 1860’s and continued until the 1970’s. Scientific studies of the area started in the 1850’s including the very significant botanical surveys of Baron von Mueller (1854 - 1855). The studies continue to the present with extensive research into the ecology of the region and its management (e.g. Barlow 1986, Good 1989, Good 1992, Green and Osborne 1994, Green 1998, Costin et al. 2000, Johnston S. and Pickering 2001 a and b, Scherrerand Pickering 2001, Pickering et al. 2002). The entire 78-page development in pdf format is available _at this_ link. You can _can use this link_ if you have not installed Adobe Acrobat yet.